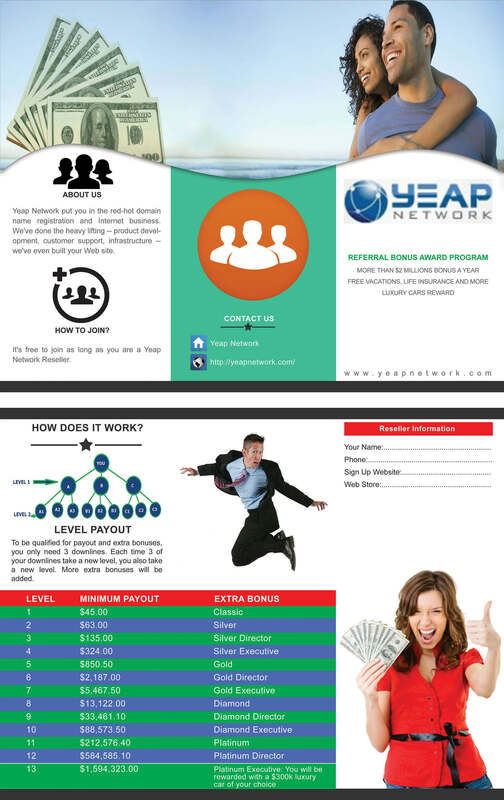 Yeap Network is a technology entrepreneurship, passive income business opportunity that focuses on internet technology. To be qualified for our free referral bonus program, you will need to purchase 1 of our products below. You also qualify to join our passive income business opportunity if you are 1 of our (SEO) Search Engine Optimization or web service customers. If you are already a customer or own 1 of the products below with us. Access your reseller account or access your service account under "My Account" you will see your customer number, contact us with that number for verification, then, we will send you the signup form application. To be qualified for payout and extra bonuses, you only need 3 downlines. Each time 3 of your downlines take a new level, you also take a new level. More extra bonuses will be added. product development, customer support, infrastructure -- we've even built your Web site. 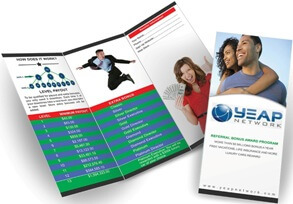 It's free to join as long as you are a Yeap Network Reseller. Get Started.